A lofty living option presents itself in Prince Charles Crescent, just around the corner from Alexandra Road. 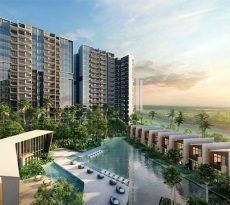 The Crest is a new luxury condominium that exquisitely brings together all the best things about modern living: a tropical paradise ambience, dynamic amenities, and the utmost convenience. 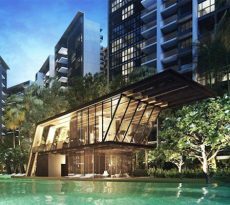 Made by Wing Tai Holdings, together with Maxdin Pte Ltd, and Metro Australia Holdings, its vibrant energy will come to its fullness sometime in the year 2018. 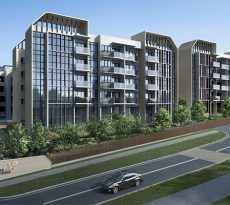 Conveniently situated at the convergence of Tanglin, River Valley and Bukit Merah, it promises accessibility and easy island-wide travel. Prince Charles Crescent stretches between Alexandra and Jervois Roads, which link up with other routes such as Tanglin Road, Grange Road, River Valley Road, the AYE and the CTE. Major destinations such as the Orchard Shopping Belt, Marina Bay or Dempsey Hill can be driven to in less than ten minutes, Vivo City and Sentosa Island in less than fifteen. Additionally, close to the site are the MRT Stations on Redhill, Tiong Bahru and Queenstown; thus places like Tiong Bahru Plaza, Tanjong Pagar, Chinatown, One North, Harbourfront, Clark Quay and Raffles place are each but a short ride away. A multitude of home types will be offered at The Crest to accommodate different kinds of living situations, including a collection of apartments with 1 to 5 bedrooms, dual key units with 3 to 4 bedrooms, and villas with 2 to 4 bedrooms. All homes in this development are guaranteed to be commodious – even the single-bedroom flats have airy floor plans between 615 and 775 square feet. This 99-year leasehold will have a total of 469 residential units, distributed through seven towers that appear to rise from the ground and blossom into the sky. These sculpture-like buildings have been designed by Toyo Ito & Associates, a Japanese architectural firm celebrated for flowing, organic forms, as seen in the famous VivoCity. They are working hand-in-hand with the local P&T Architects to bring this project into full flourish. 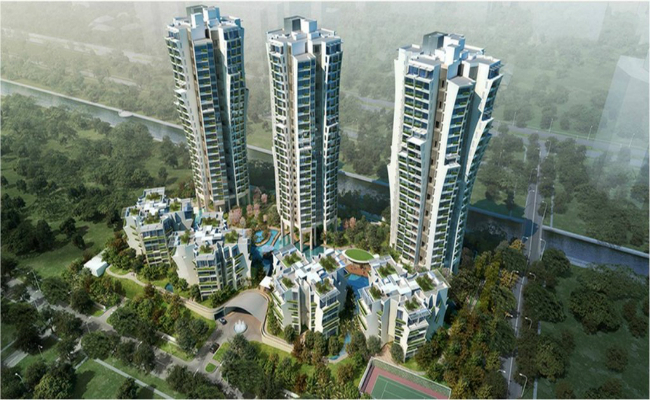 As you enter the development, you will be welcomed by a posh arrival courtyard as well as a glittering waterfall, all fringed by lavish greenery. Moving inward, you’ll discover even more delights. Bisecting the site is an expansive Bio Lagoon, which will encompass leisure facilities such as a 440-square metre lap pool, a 310-square metre curvilinear leisure pool, a reflective pool, a children’s pool, a sun deck, the Oasis Pavilion and others. On an island in the Bio Lagoon is the Clubhouse, which will feature niceties like the Refresh and Relax Lounge, as well as a private onsen and steam bath. The Bio Lagoon’s waters flow northward into rocky streams, which lead to the jogging trail. This trail stretches around the perimeter of the development, passing by other amenities like the tennis court, the Grill and Dine Terrace, the Meadow Spa, and the Alfresco Lounge. To the south of the lagoon, you’ll find even more treats, such as the Garden Jacuzzi and some children’s play areas. At the southwest corner of the development will be a pedestrian side gate which opens into the neighborhood. A few steps will take you to the Alexandra Linear Park. The lovely tree-lined park runs alongside Alexandra Canal and leads you through refreshing views. It also permits a relaxing walkway or cycling path to Great World Shopping Centre, Valley Point Shopping Centre, and Zion Riverside Food Centre. Other noteworthy places within easy access are the Delta Sports Hall and Swimming Complex, Orchard Road, Tanglin Club, Fairway Country Club, Pines Club, American Country Club, Singapore Botanic Gardens, Mount Emily Park, Mount Faber, Fort Canning Park and Telok Blangah Hill. As the majority of homes at the Crest will have 2 bedrooms or more, the development will be catering mostly to families with children. These families will have the added benefit of living near so many schools, such as Raffles Girls’ School, Gan Eng Seng School, Crescent Girls’ School, River Valley Primary, Zhangde Primary, Queenstown Primary and Secondary, Outram Secondary, and PSB Academy. For families that prefer an international curriculum, there’s Chatsworth International School, International School Singapore, Avondale Grammar School, Overseas Family School, Finnish Supplementary School, and Global Indian International School. All these advantages and more will be at your fingertips when you make your nest at The Crest. If you feel it’s about time for you to flourish and move up in life, you can bring your dream to fruition. Call upon iCompareLoan mortgage broker to compare home loan Singapore.